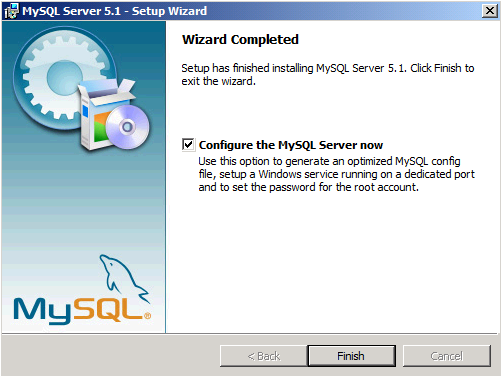 This article provides a basic step by step guide on how to install and configure MySQL on the Windows Operating System. 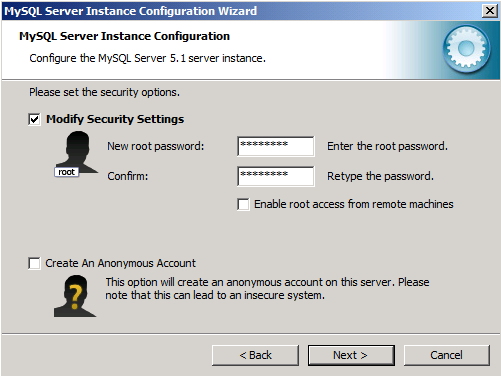 For more detailed instructions about installing and configuring MySQL on Windows refer to the official MySQL documentation. 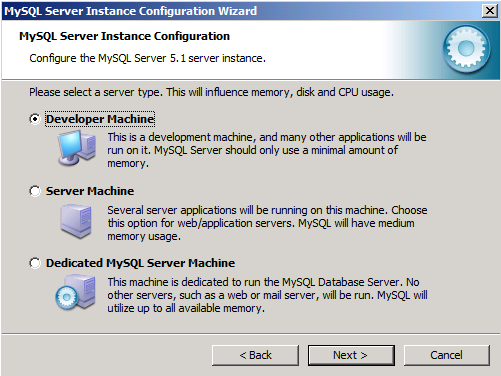 The MySQL binaries and installer can be downloaded from the official MySQL site. 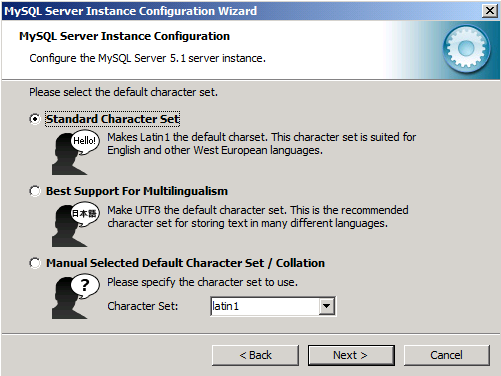 The instructions in this article are based on MySQL version 5.1 Community Edition installed with the Windows MSI installer. 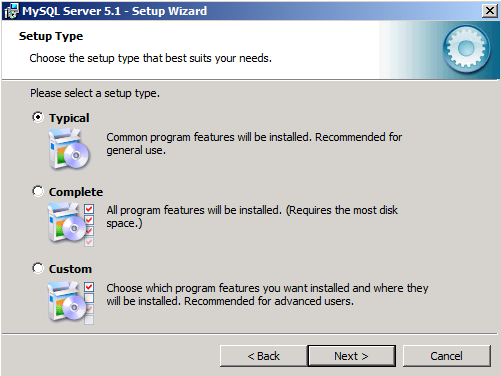 However, if you want to control which components get installed or if you want to use a non-default installation path then choose the "Custom" option. 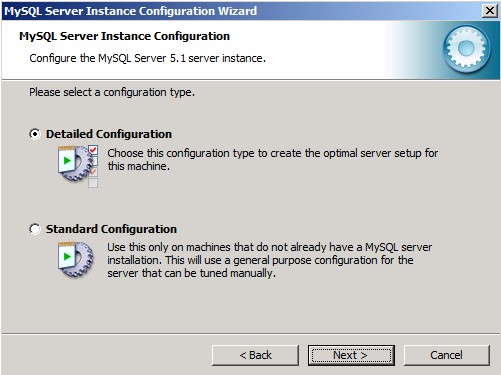 When the installation is complete, make sure to check the box to "Configure the MySQL Server now". 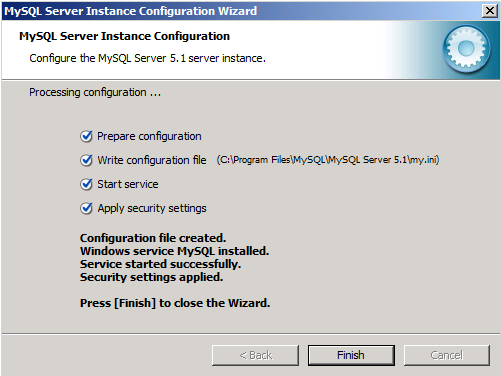 This will launch the "MySQL Server Instance Configuration Wizard" that will guide you through the configuration process for the MySQL instance. 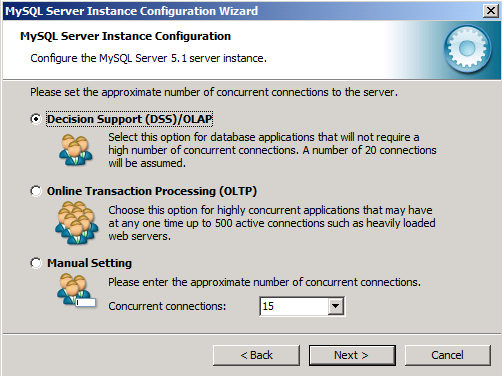 Follow these steps in the "MySQL Server Instance Configuration Wizard" to optimize the MySQL configuration for the kind of tasks you expect it to perform. For an in-depth comparison of these database engines, refer to MySQL Storage Engine Architecture. 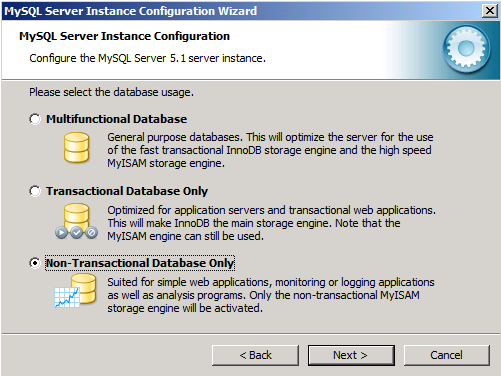 As a general recommendation – if the web applications on your server require multi-statement transactions, advanced isolation levels and row-level locking, foreign key constraints, or otherwise have a requirement for ACID features -- use InnoDB. Otherwise, use MyISAM. 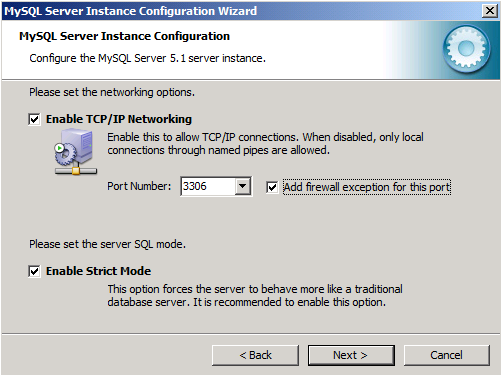 If you have mysql and web server on the same machine you may consider not enabling TCP/IP networking and instead use named pipes. Note though that some PHP applications may require TCP connection to MySQL. Refer to the application's documentation to confirm if it supports named pipes connection to MySQL. 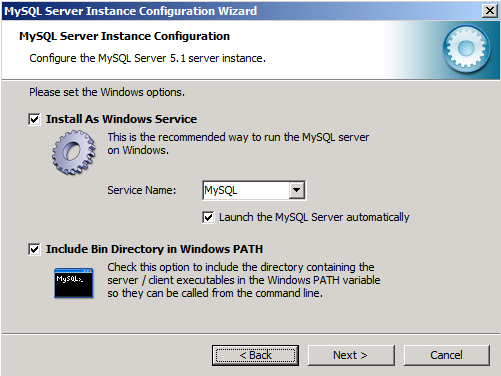 Optionally, you can add the MySQL Bin directory to the Windows PATH environment variable. That will make it easier to launch MySQL tools from the command line.